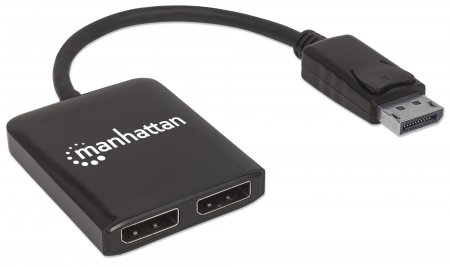 The Manhattan DisplayPort to 2-Port DisplayPort Splitter Hub with Multi-Stream Transport (MST) streams a 4K DisplayPort (DP) signal from a single UHD source to up to two UHD displays. 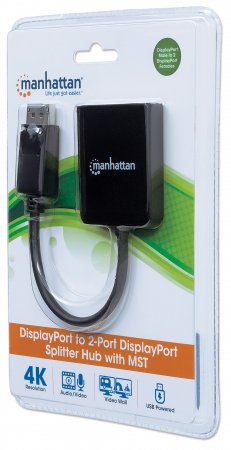 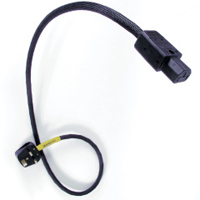 Ideal for trade shows, classrooms, video conferencing, presentations and retail applications, the Manhattan DisplayPort to 2-Port DisplayPort Splitter Hub with MST features a built-in booster for added signal strength. 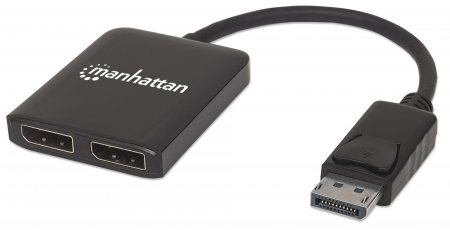 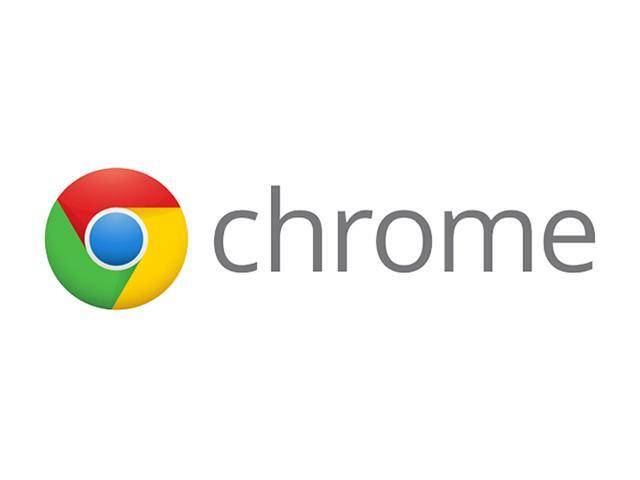 It’s a great choice for splitting and distributing a synchronous signal, in either mirrored or extended modes, to multiple 4K DP displays. 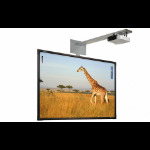 MST mode creates a video wall from two displays giving the user a more immersive experience while gaming, in a conference setting or in a home office. 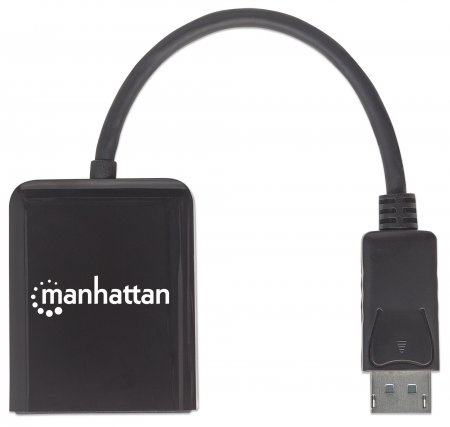 Full compliance with DisplayPort, HDCP 2.2 and DVI 1.0 ensures that the Manhattan DisplayPort to 2-Port DisplayPort Splitter Hub with MST can provide long service and reliable performance. 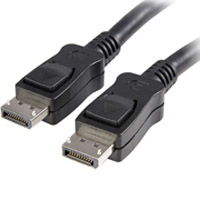 Quickly connect DP cables (not included) and the included USB power cable, and this affordable, Ultra-High-Definition 4K DisplayPort solution is complete — no software/hardware configuration or complicated settings required.